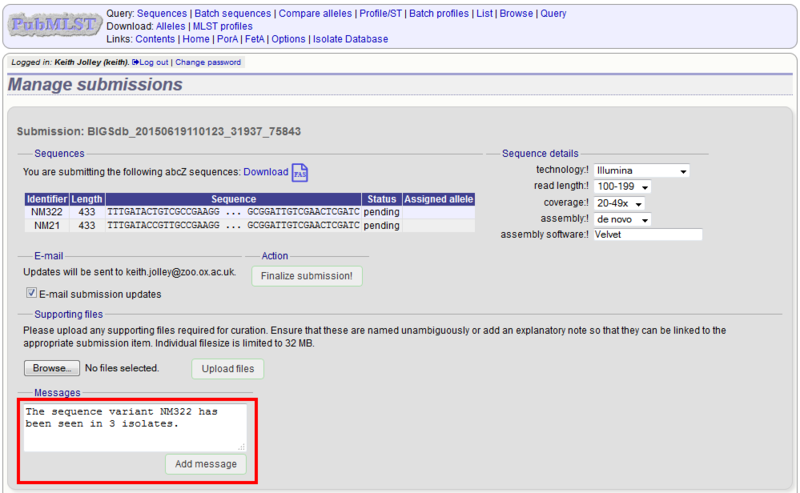 If you wish to enter a message to the curator, enter this in the messages box and click ‘Add message’. 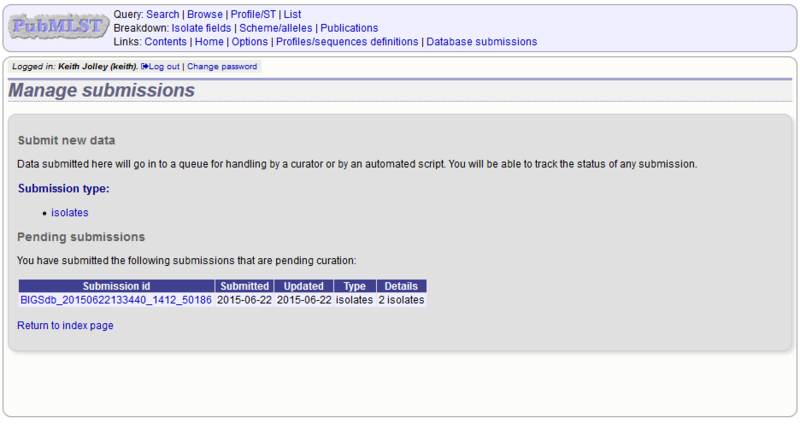 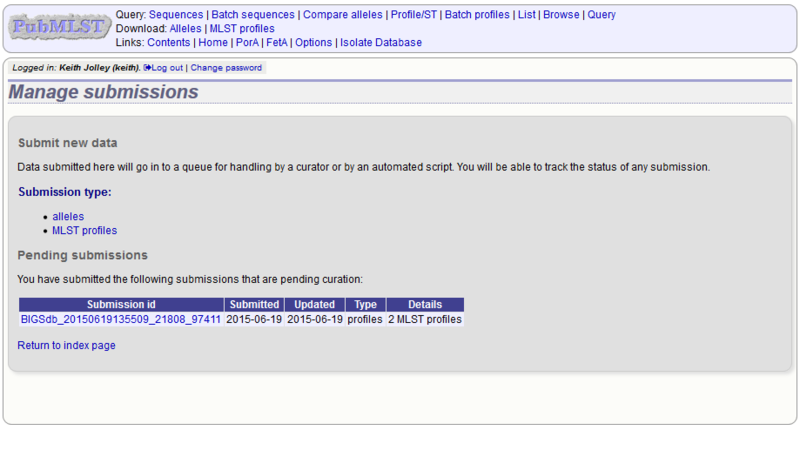 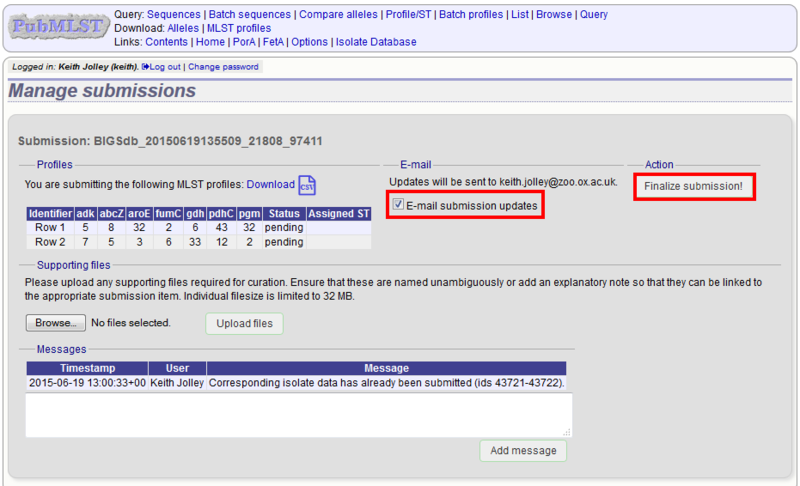 Even if the submission system has been enabled, submission of profiles has to be specifically enabled. 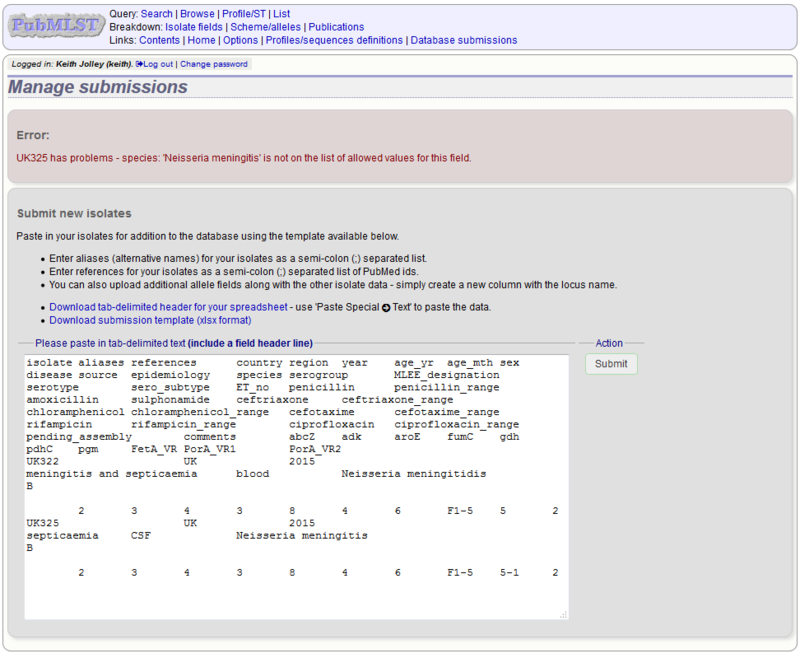 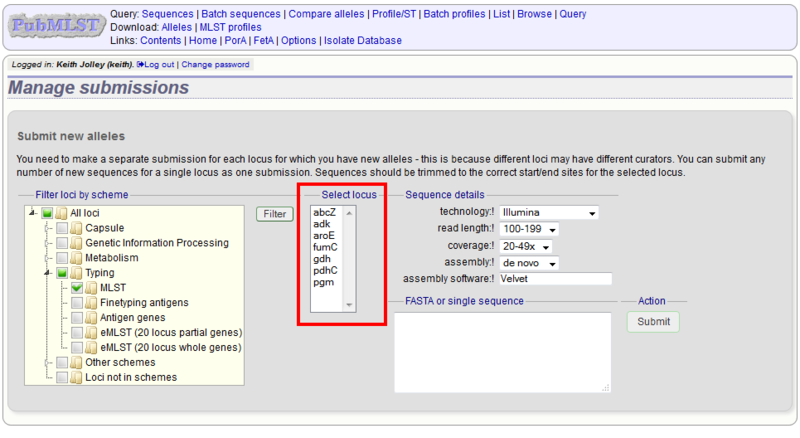 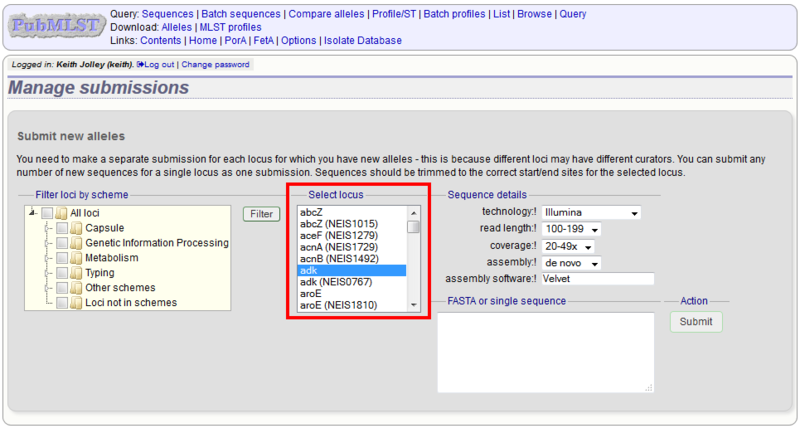 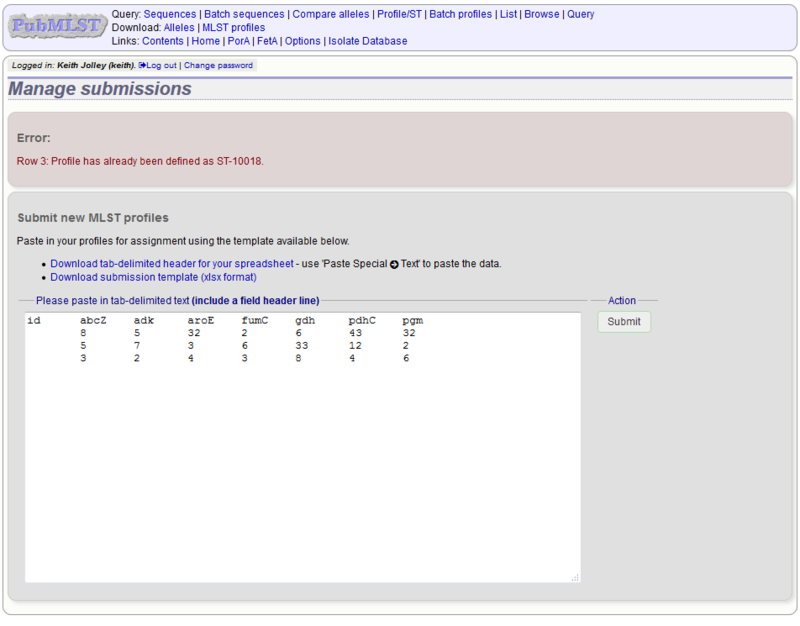 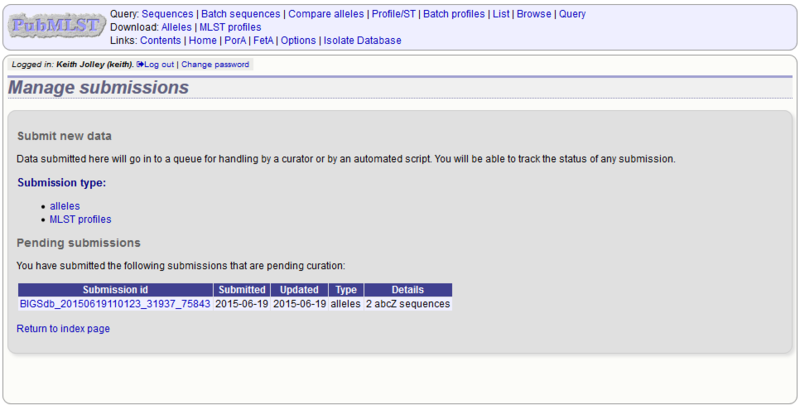 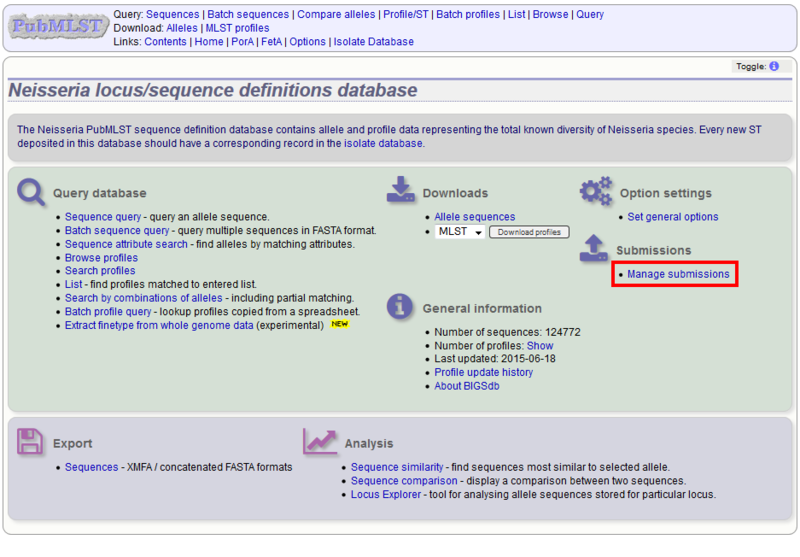 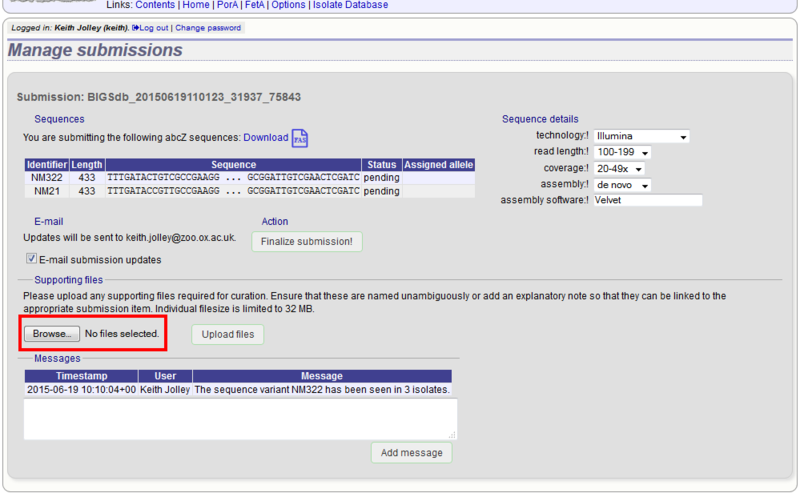 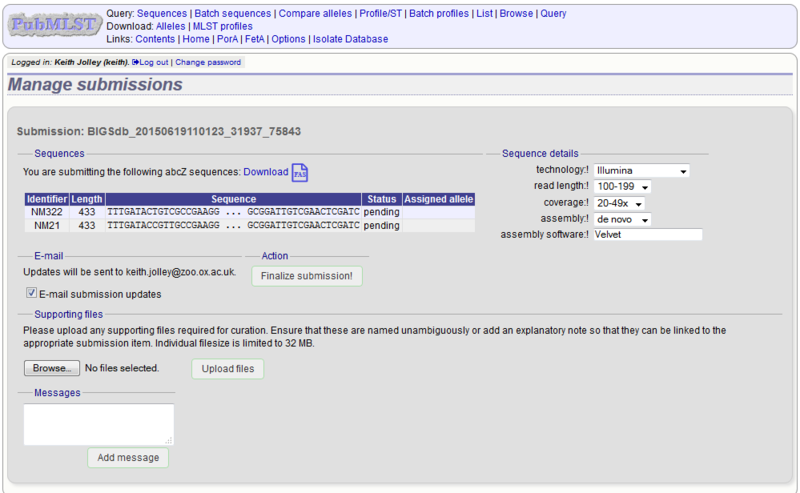 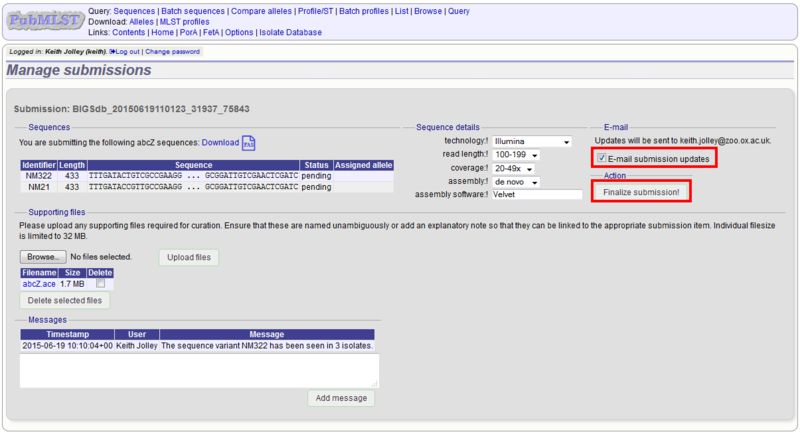 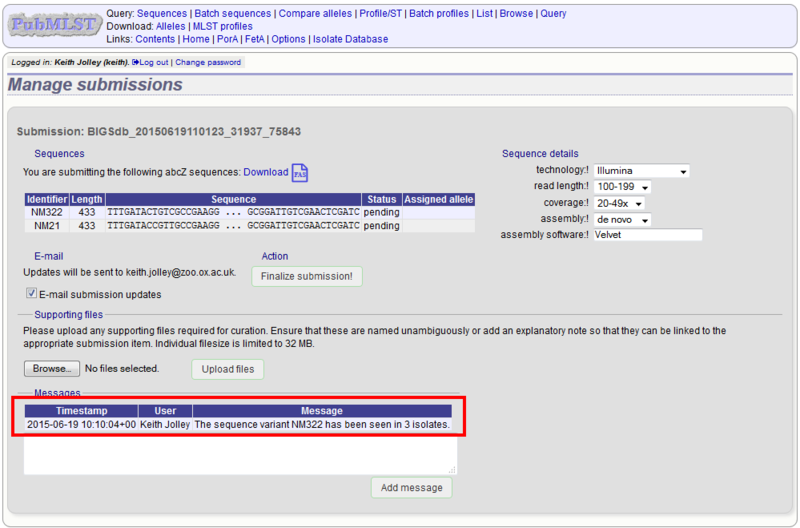 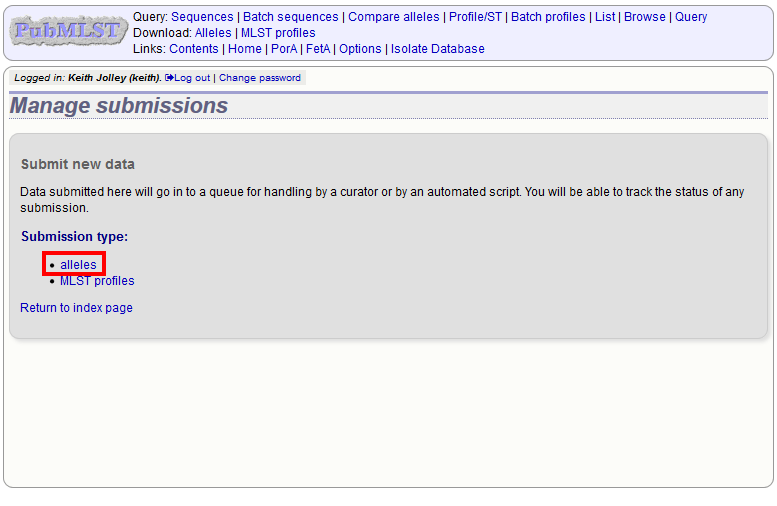 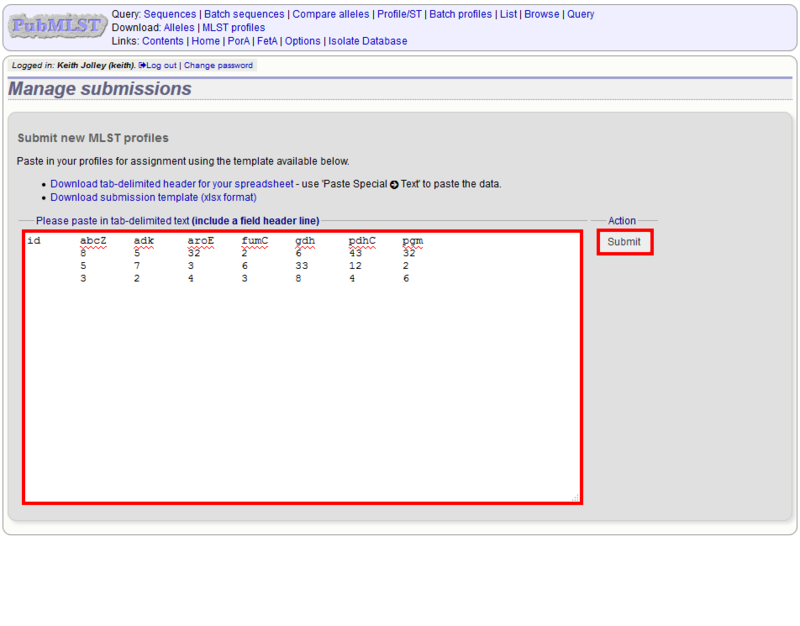 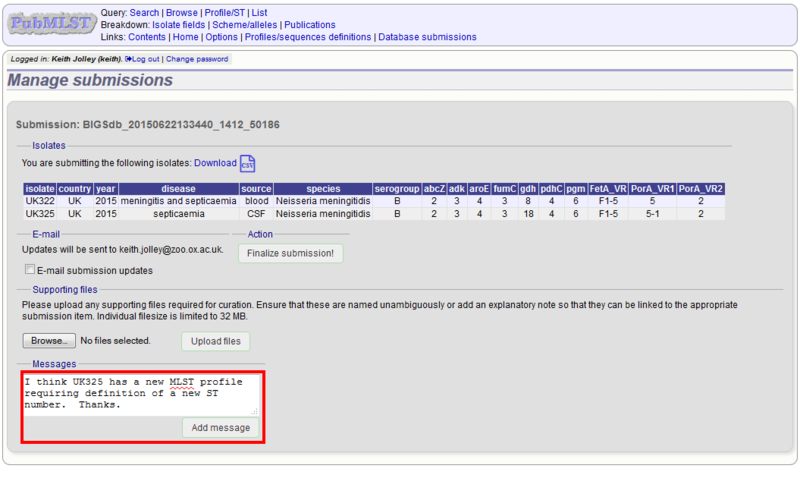 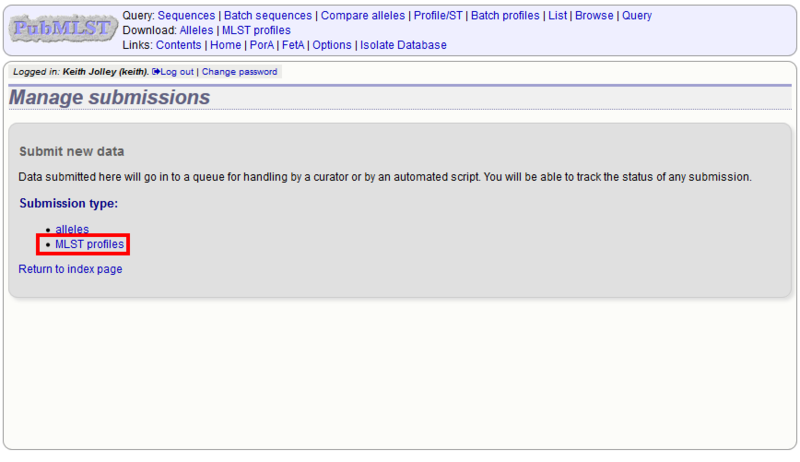 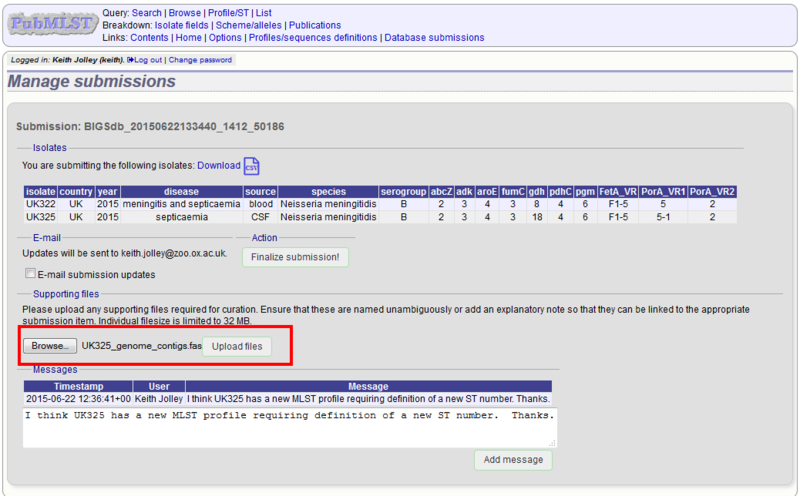 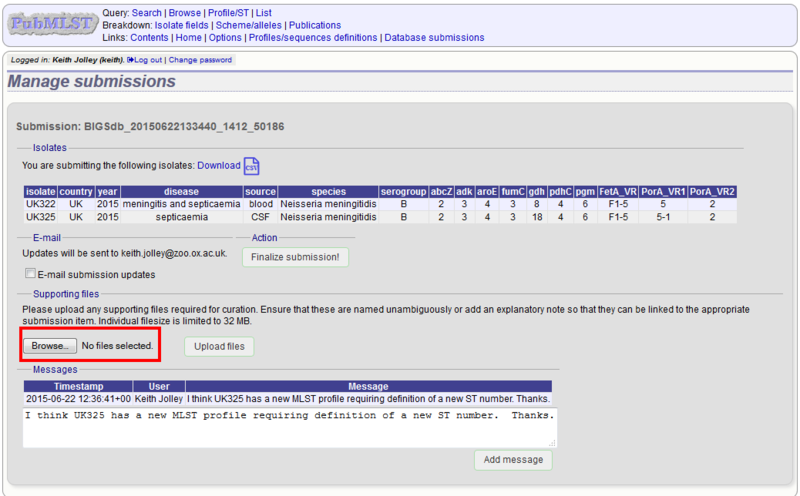 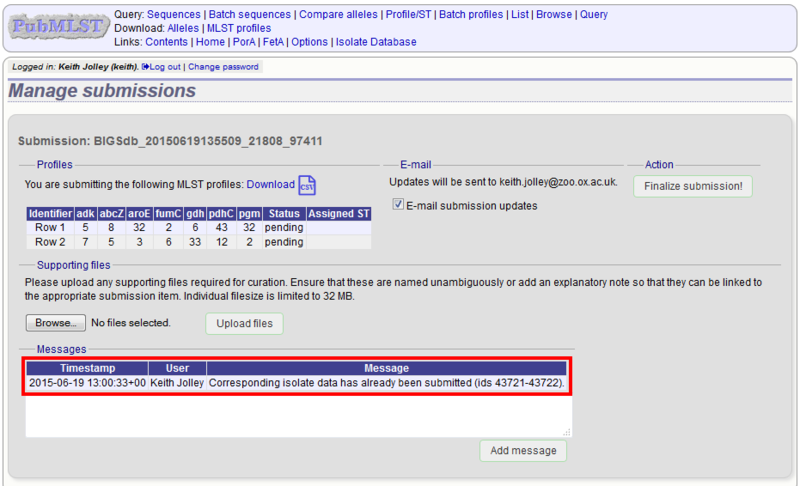 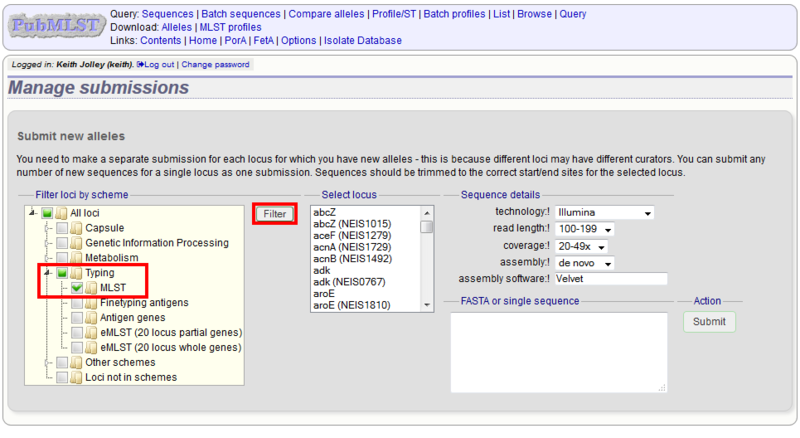 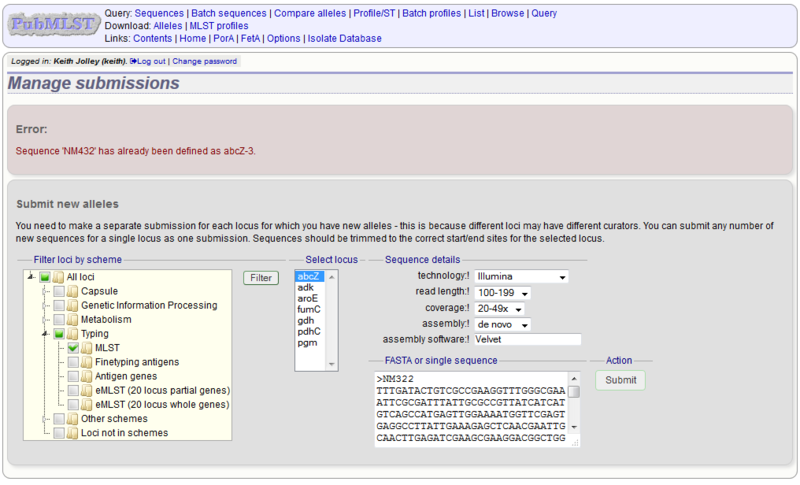 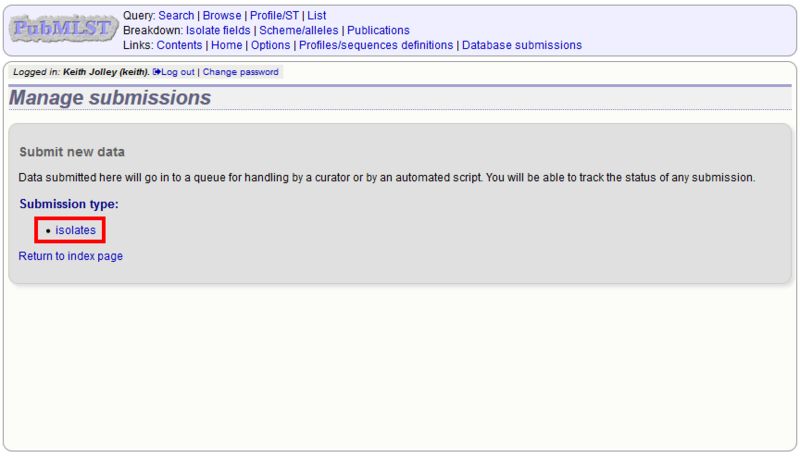 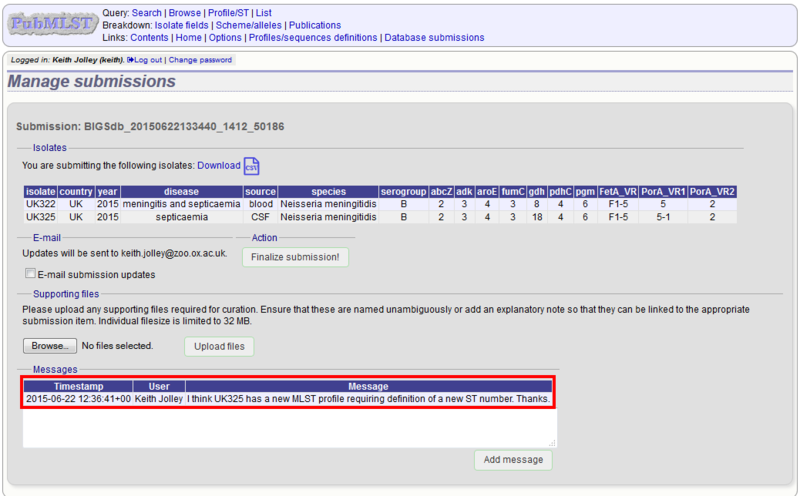 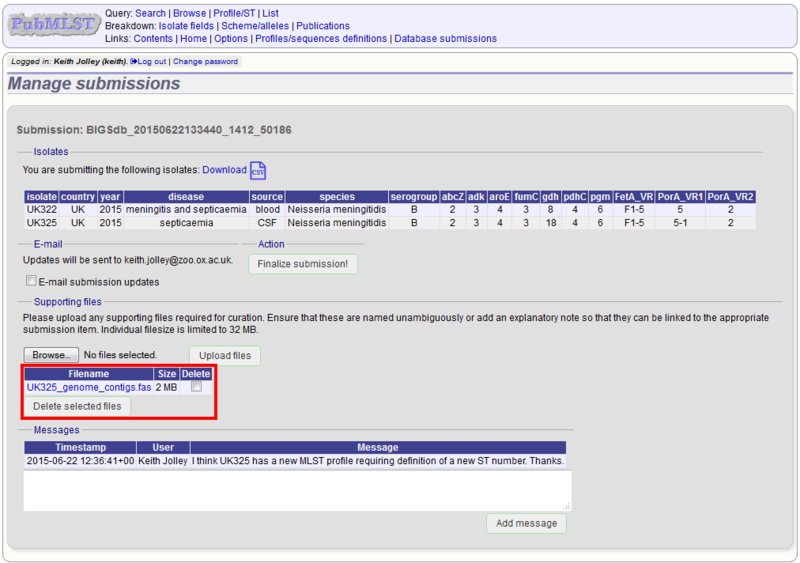 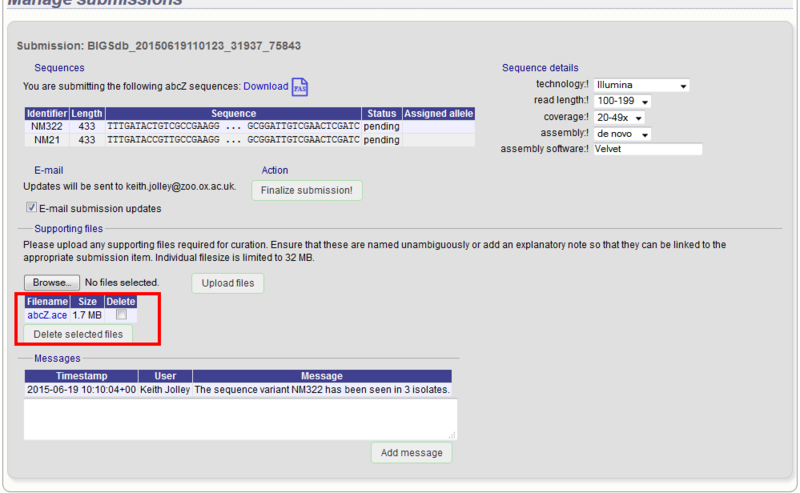 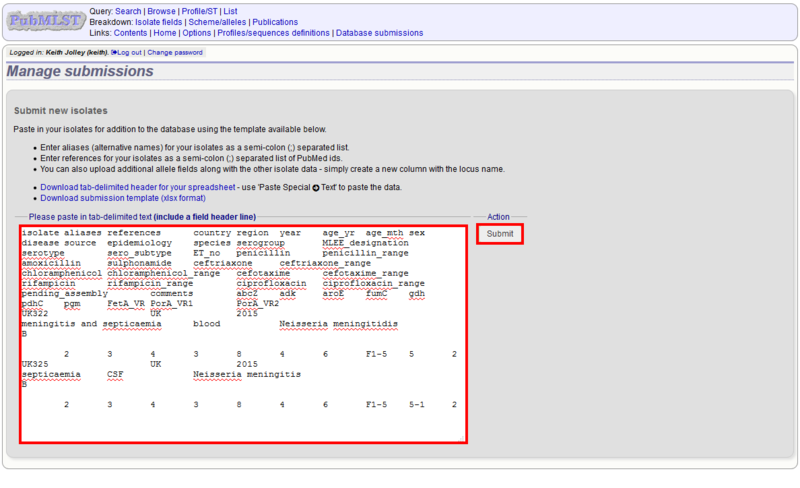 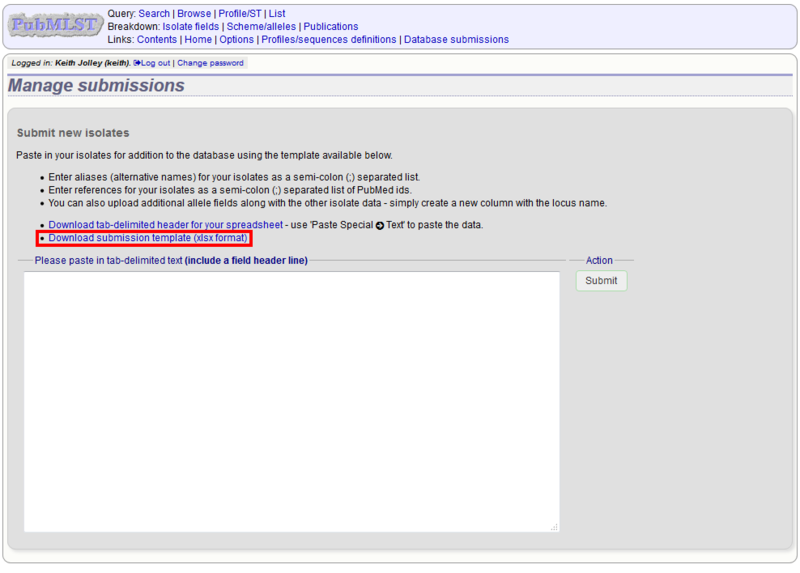 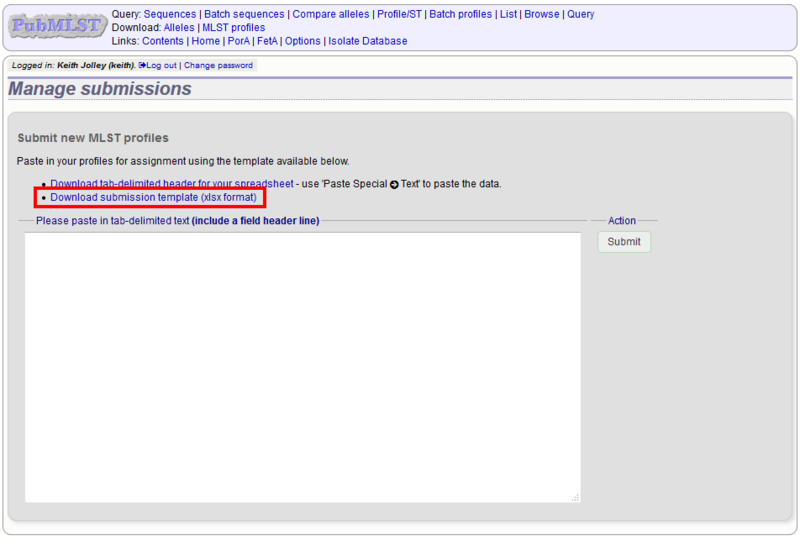 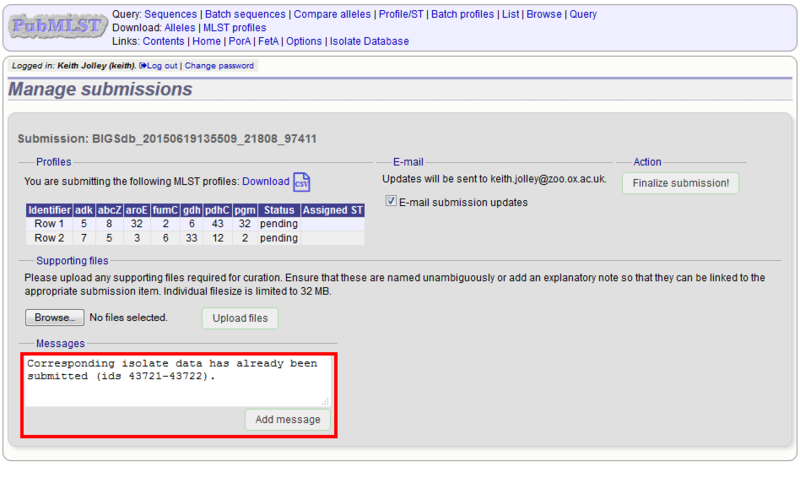 Many databases require submission of representative isolate data for any new allelic profile for schemes such as MLST. 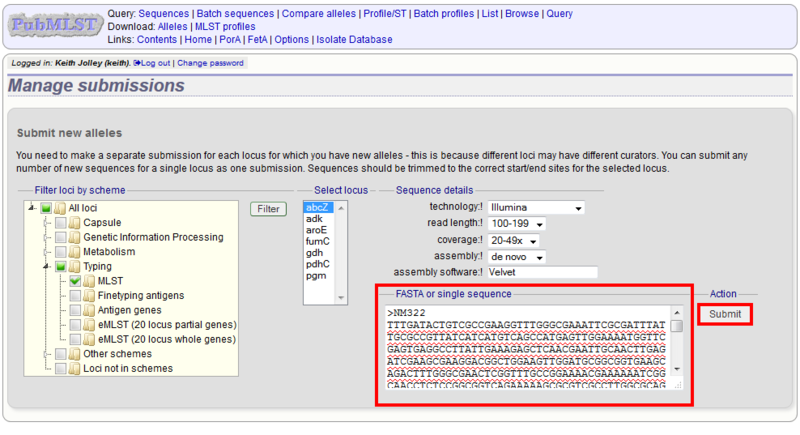 In this case any new profiles can be readily extracted from the isoate data so profiles do not need to be submitted separately.